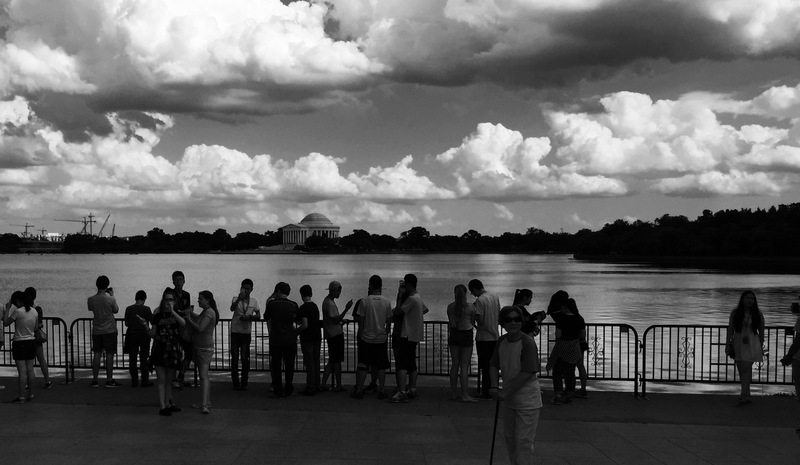 We walked seven miles across the city, around the Tidal basin, visiting the memorials to Jefferson, Roosevelt and King, and almost back, until the heat got us and we succumbed a cab. I have been to a number of capitols, but this is still my favorite. Chalk it up to pride of place for someone whose birth certificate reads Washington, D.C., though I wasn’t born here. But that’s another story that includes a blizzard, a difficult home birth and an ambulance ride to the nearest hospital for a mother in distress and her newborn child, who would grow up to play and begin his life work here. It will forever be my favorite city.